With increased deliveries of oil by rail in Delaware, state officials want to ensure that safety comes first. On Wednesday afternoon, legislators met with approximately two dozen officials from Norfolk Southern, the Delaware City Oil Refinery and state emergency management to discuss potential safety concerns with the delivery of oil by rail. The Delaware City Oil Refinery is experiencing a significant increase of oil-by-rail shipments, and state officials want to see that all safety scenarios are being addressed. At the meeting, state leaders inquired about maintenance for railroad tracks and railcars, as well as the type of crude oil being shipped and unloaded in Delaware. 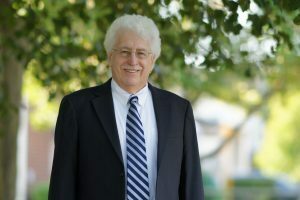 Rep. John Kowalko, D-Newark South, hosted the meeting in response to numerous concerns from constituents who live near the railroad tracks that lead to the refinery. He shared photos and video footage from Newark residents, some of whom share property lines with the rail beds. Officials from Norfolk Southern, the rail company that owns the tracks, explained that oil-by-rail is growing tremendously, with more than 825,000 carloads delivered between 2000 and 2013. “99.993 percent of those car loads in the entire industry arrived at their destination without a release caused by an accident,” said David Julian, vice president of safety and environmental protection at Norfolk Southern. Herman Seedorf, Delaware City refinery manager, explained that the plant is in the process of upgrading all of its rail cars to enhance the safety of shipping crude oil products. Julian added that his company is committed to being proactive when it comes to safety, and reinvests approximately 15 to 17 percent of revenue into rail and infrastructure maintenance. Earlier this month, Delaware City officials and representatives from local fire departments, as well as officials from DelDOT, the Delaware Emergency Management Agency and the Delaware Department of Natural Resources, hosted a public meeting with Delaware City residents to address some of the existing safety plans. The various agencies conducted extensive planning with local, county and statewide emergency responders to develop protocols in the event of an accident. Officials noted that they continue to enhance plans, conduct safety training and comply with inspections and safety mandates. In addition, both DelDOT and Norfolk Southern inspect railroad tracks in Delaware annually. These inspections include 35 railroad grade crossings. On Wednesday, state lawmakers specifically inquired about the preparedness of local first responders in the event of a derailment. “I feel much more comfortable if we as a state had these plans in place,” said Rep. Ed Osienski, D-Newark.